Cause of his death was Disease of Lungs (8 months duration). 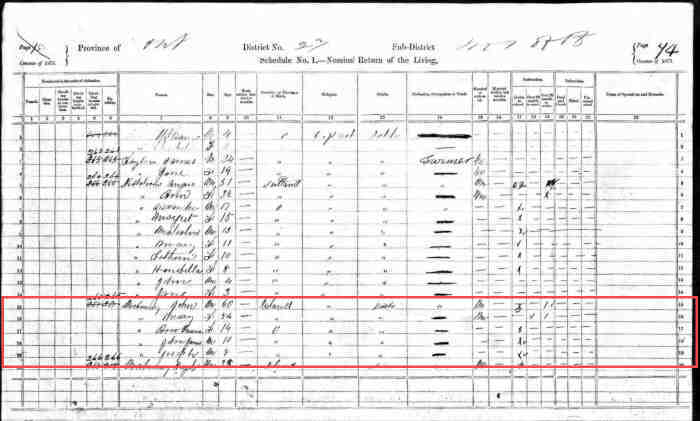 On the 1861 Ontario Census, John and the family are described as livin g in a one storey log house. They were all shown as "Free Church" (Pr esbyterian). John and Mary McBurney are buried in Langside Cemetery, just outside W ingham, Ontario. There are no grave stones marking these sites any mor e. Apparently the cemetery was cleaned-up years ago, and the stones w ere removed according to Vera Scott. The area of Langside and its surrounding countryside was settled by va rious groups of people who had emigrated from Europe. These groups o f people formed various small communities, each one contributing to th e various needs of the whole, many of whom were Scottish prople. A po st office, church, store, blacksmith shop and school were establishe d at a crossroads, which came to be known as Langside. In the Langsid e country of stony fields, blacksmiths were in high demand. • Immigration: to Canada, 1848. through Little York (Toronto, , Ontario, Canada). William and his family set sail from Ireland in a sailing vessel, whic h took upward of two months in crossing the Atlantic (Ocean), they lan ded at Little York, now Toronto and took up their first residence at B everly, not far from Woodstock, from which place they came into the wo ods in the year of the "Sale of the Land," in 1848, and settled on Lo t 31, Concession 6, Kinloss. NOTE: The 1851 Census of Canada shows the family (John and Mary with c hildren Hugh, Richard, James Arthur, John, and William) still living i n Beverly Township of Wentworth County. The 1861 Census shows them liv ing in Kinloss. 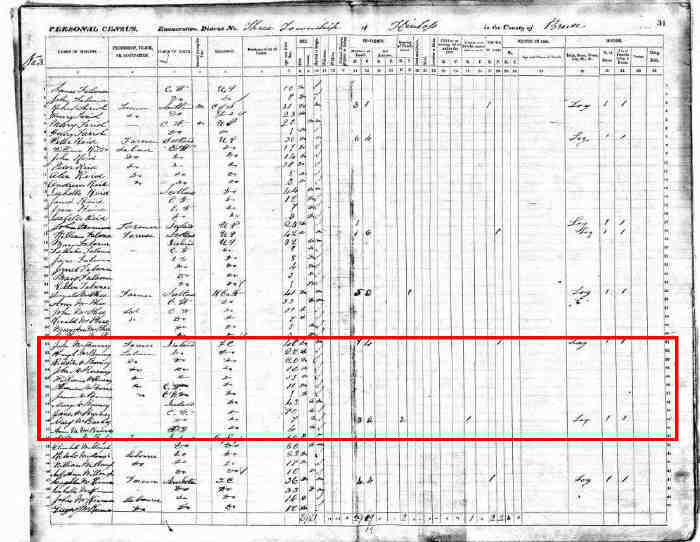 The Personal Census information for Beverly District is missing, but J ohn was listed in the Agricultural Census for Beverly Township in Went worth County of Canada West, p. 31, line 5, as living on Cons. 9, lo t 31. He had 2 acres of land where he grew Oats and Potatoes. He ha d 100 lbs. of Maple Sugar, 2 Bulls or Oxen, 2 milk cows, 1 calf, 2 hor ses, 2 pigs, and 1 barrel or cwt. of Pork. • 1861 Census of Canada: John, age 48, with wife Mary, age 43, and children Hugh, age 22, Ritch, 14 Jan 1861. 72 ie, age 20, John, age 16, William, age 13, Thomas, age 11, Jane, age 1 0, Marg, age 7, Ann M., age 4, and James, age 1. 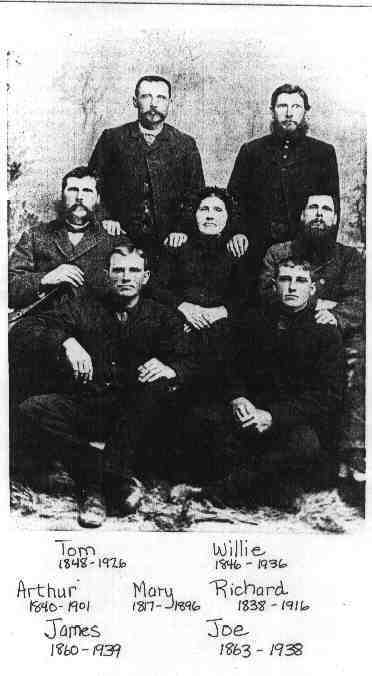 Age 48 with wife Mary (43) and children Hugh (22), Richard (20), Joh n (16), William (13), Thomas (11), Jane (10), Margaret (7), Annie Mari a (4), and John James (1). They were described as living in a one storey log home. 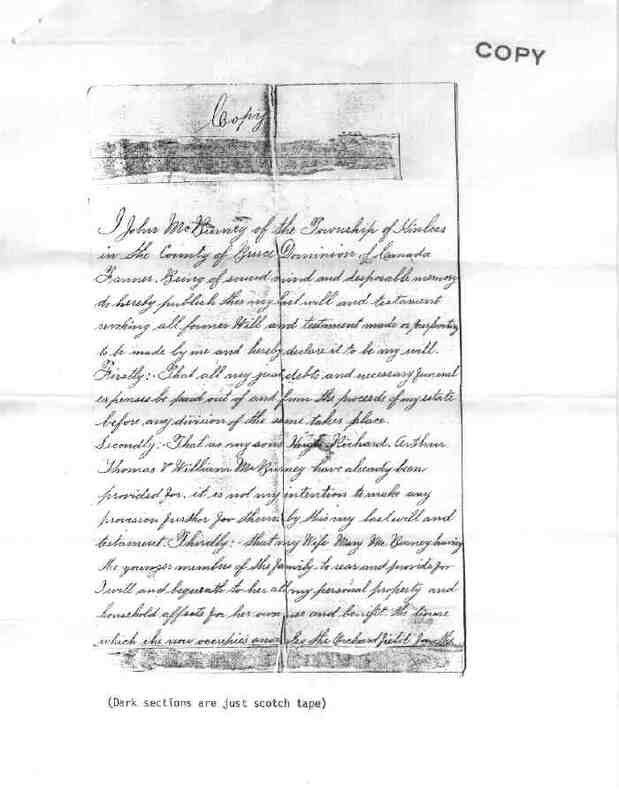 At one time, before her death in 1982, Vera Scott (Eliza McBurney Hill 's daughter) had in her possession, the crown deed to the farm, date d 1863, for which John paid $ 172.00. • 1871 Census of Canada: John, age 60, with wife Mary, age 54, and children Ann Maria, age 14, 2 Apr 1871. 213 , John James, age 10, and Joseph, age 8. 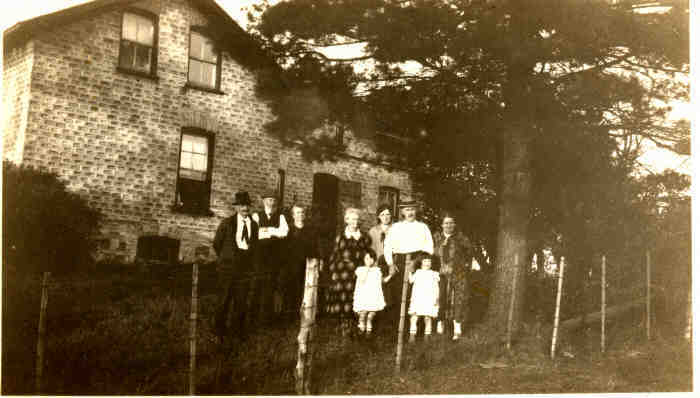 John, age 60, with wife Mary, age 54, and children Ann Marie, age 14 , John James, age 10, and Joseph, age 8. 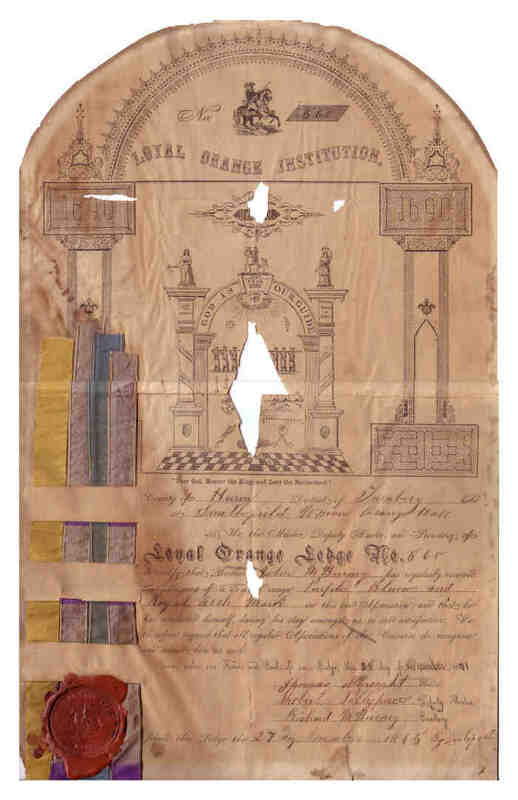 John was recognized in a Certificate issued Dec. 25, 1871 having achie ved the Purple, Blue, and Royal Arch Mason Degrees as a member of th e Orange Lodge at Smithfield Union Orange Hall, havin joined the Lodg e Nov. 27, 1865 by Certificate. 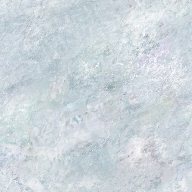 to be made by me and hereby declare it to be my will. before any division of the same takes place. when he attains the age of twenty one years. the Same during her life or widowhood. Margaret McBurney and Maria McBurney. Executors of my last will and testament. John married Mary Atkinson, daughter of Richard Atkinson and Unknown, on 1 Jan 1835 in Ireland 2,54.,208 (Mary Atkinson was born on 10 Oct 1817 in Ireland,2,22,54 died on 15 Jan 1896 in Kinloss, Bruce, Ontario, Canada 214 and was buried in Kinloss, Bruce, Ontario, Canada 54.). The cause of her death was Paralysis (2 weeks).